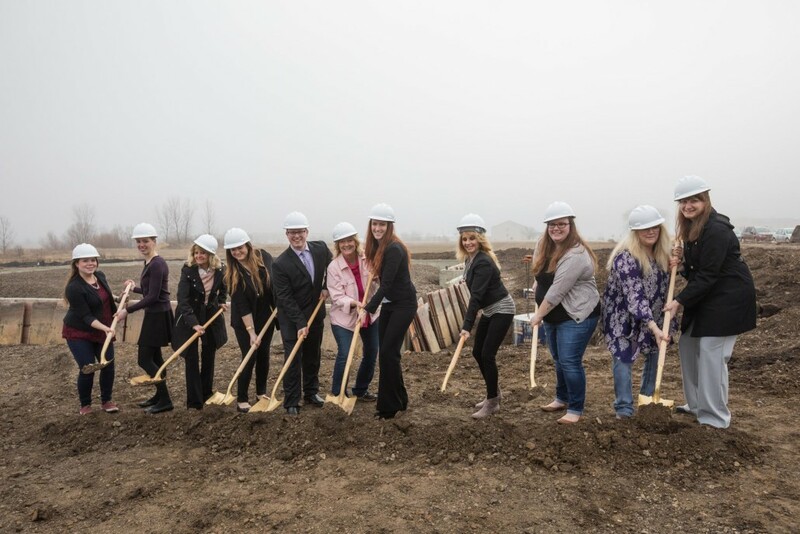 Event Floral is pleased to announce the start of a major expansion and ground breaking of a new 5,000 plus square foot facility. Event Floral is a full service florist specializing in custom designed flowers and décor for weddings and events. Founded in 2003 by Debra Quillen, a veteran of the local Rockford, Illinois floral industry, Event Floral is in its 14th year of business. 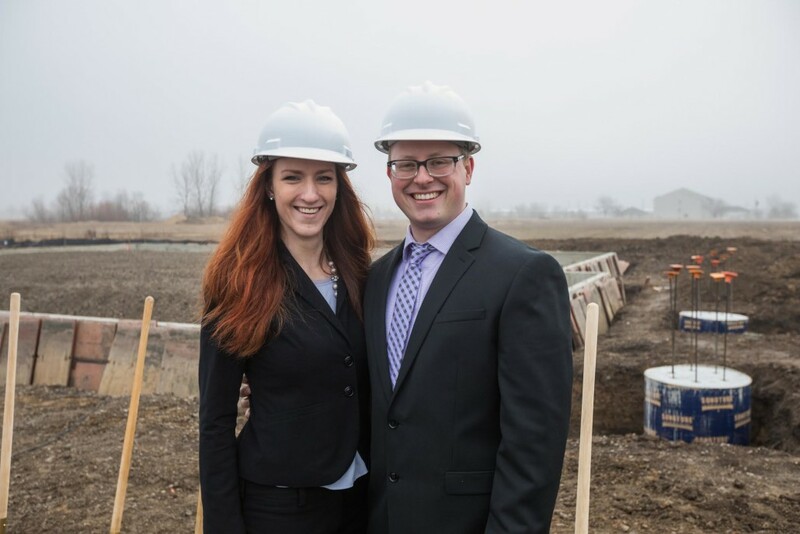 Current owner Erin Stoffregen assumed ownership in January 2014, overseeing consistent growth, staffing increases, and new business offerings. Event Floral will transition from the current 2,000 sq. foot workshop to a custom built, 5,000 plus sq. foot facility that will serve as a main headquarters for company operations. All floral, linen, rental, décor, and custom event work will be produced at the new facility, streamlining production processes and offering the ability for even more growth. 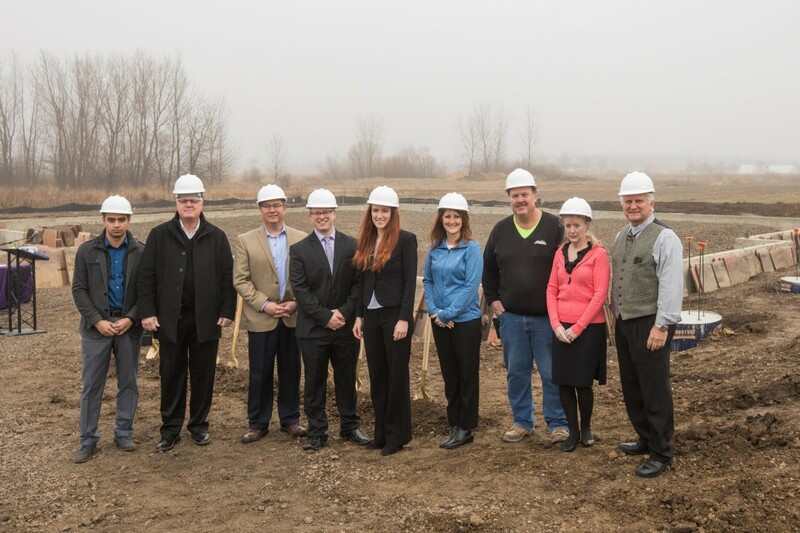 Work has already begun at the new building site, which is located in Loves Park, Illinois on Rock Valley Parkway. The project is estimated to take about eight months. McClellan Blakemore Architects has overseen the design and Oehlberg Construction will complete the build. Visit our Facebook and Instagram for frequent photos and construction updates. 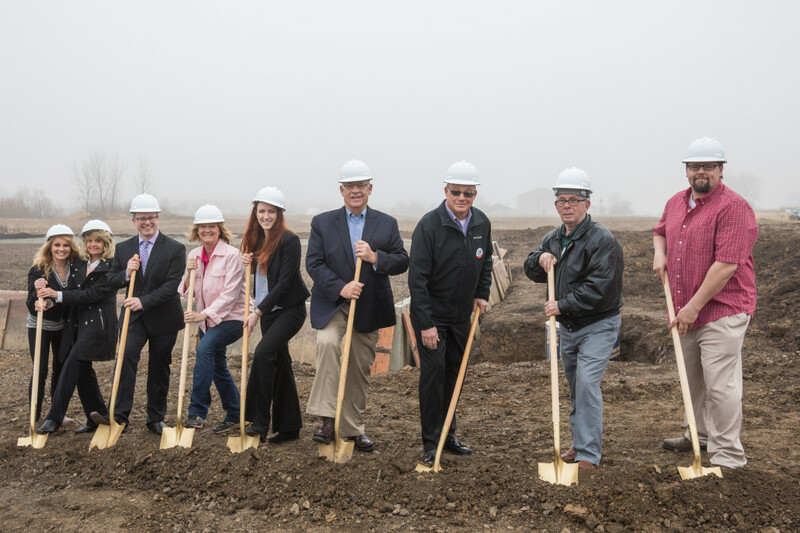 Thank you to all who attended our groundbreaking ceremony. The support from family, friends, staff and community members is so greatly appreciated. 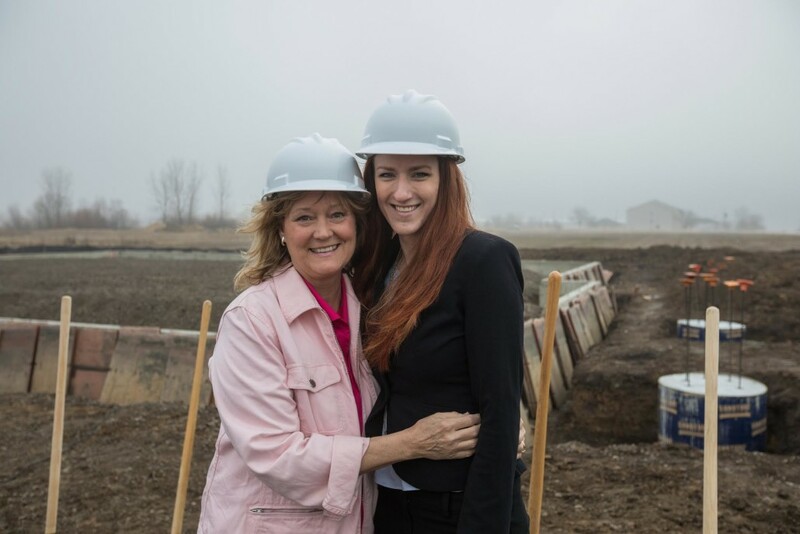 Founder Deb Quillen, with now owner Erin Stoffregen. Erin assumed ownership in 2014. Erin with the building team. McClellan Blakemore Architects, Oehlberg Construction, Alpine Bank and Legacy Designs. Event Floral staff and team members participate in a ceremonial dig. Erin with Manager Jordan Calgaro. 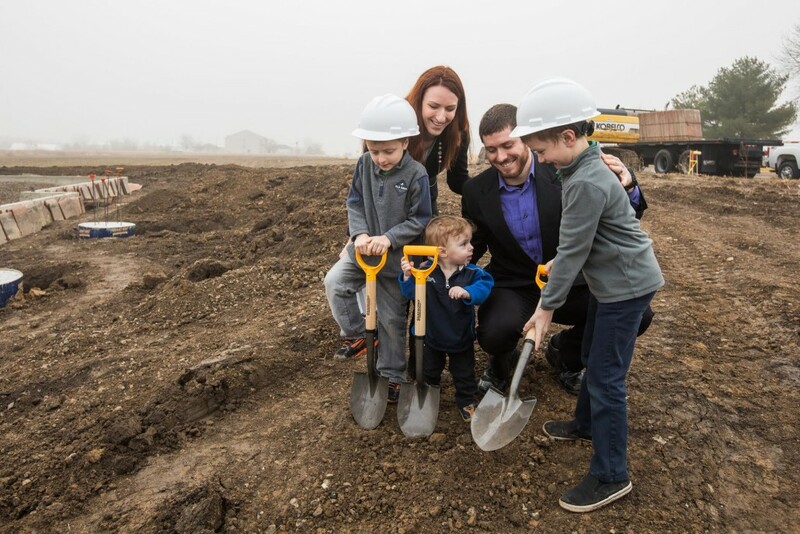 Erin, husband Brandon, and boys Lucas, Nathan, and Joshua break ground. Photos by C. Tyson Photography. Sound provided by SVL Productions. Refreshments from Mary’s Market.